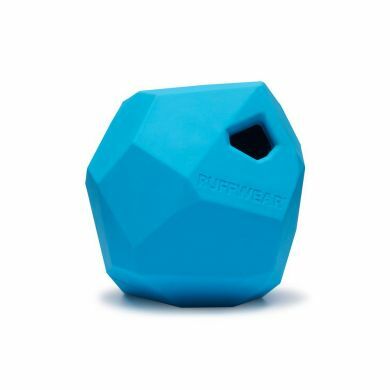 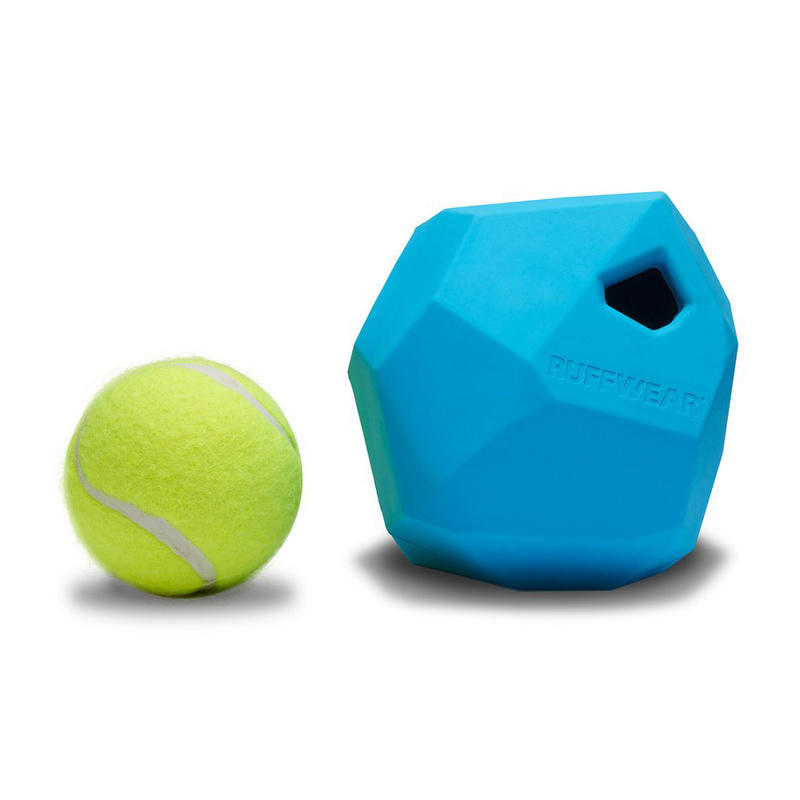 Ruffwear's Gnawt-a-Rock throw toy is inspired by natural volcanic glass formed by rapidly cooling lava from Pacific Northwest volcanoes. 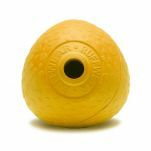 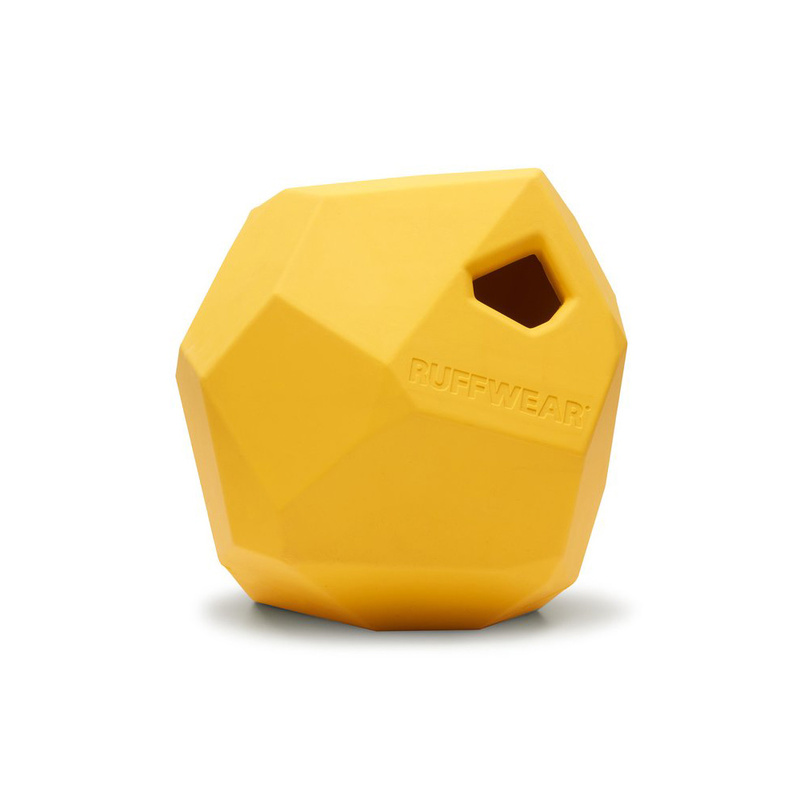 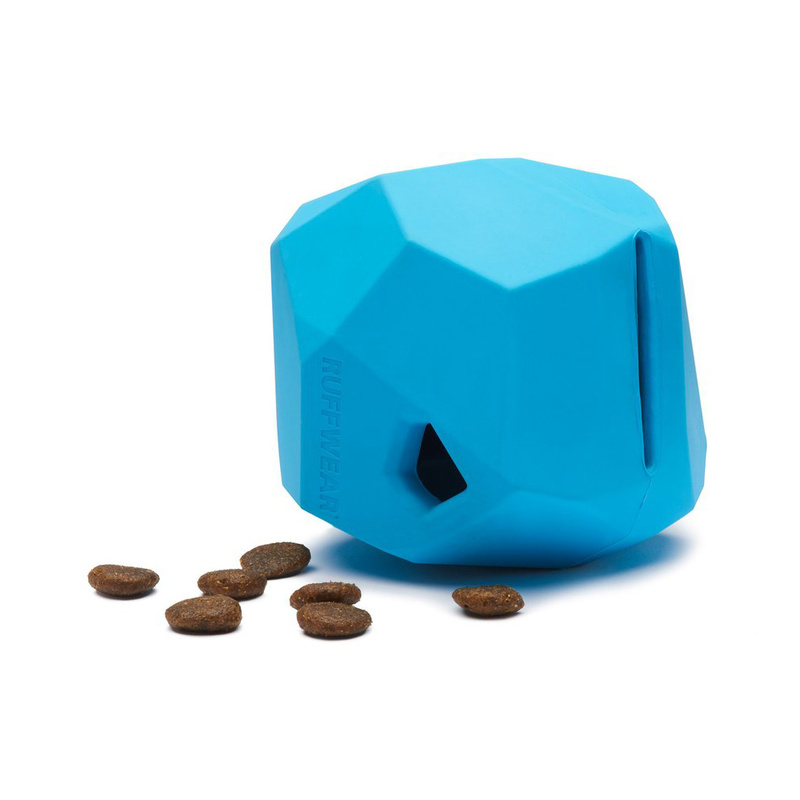 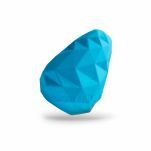 The Gnawt-a-Rock is made with natural latex rubber, with a faceted, gum-massaging surface. 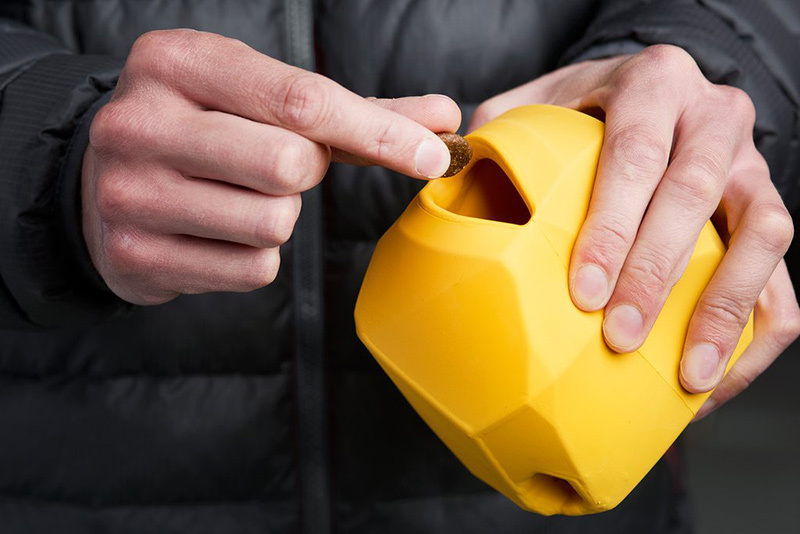 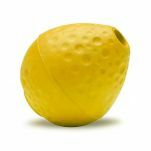 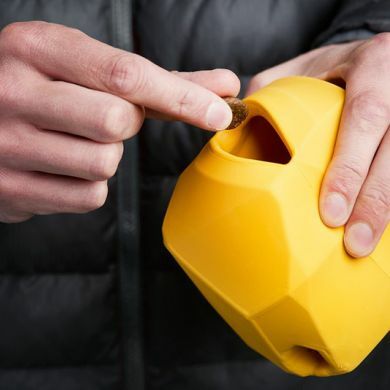 Its irregular shape creates an erratic bounce, and it has a treat-dispensing design for interactive play and reward.